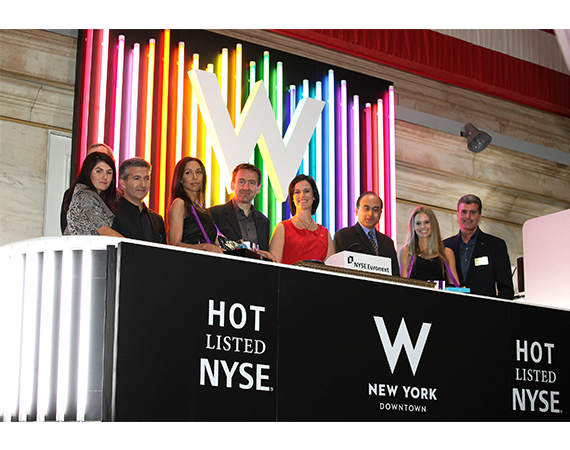 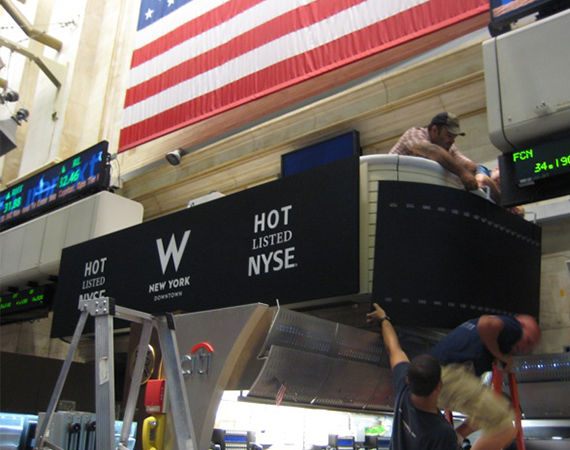 The Starwood Brand Design team transformsed the NYSE bell podium while Amanda Ross, W Hotels Global Fashion Director, designs custom trading jackets for NYSE traders. 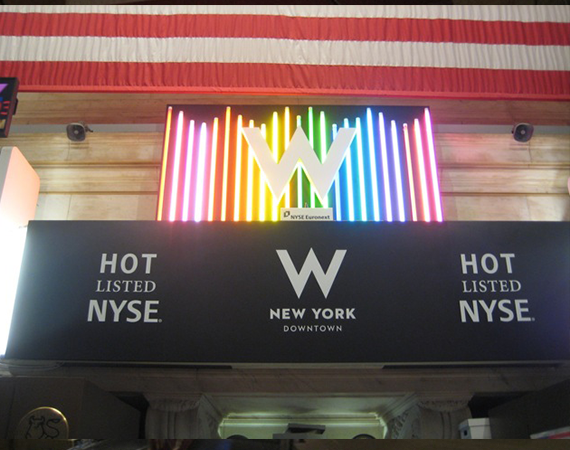 New designs were unveiled prior to the closing bell. 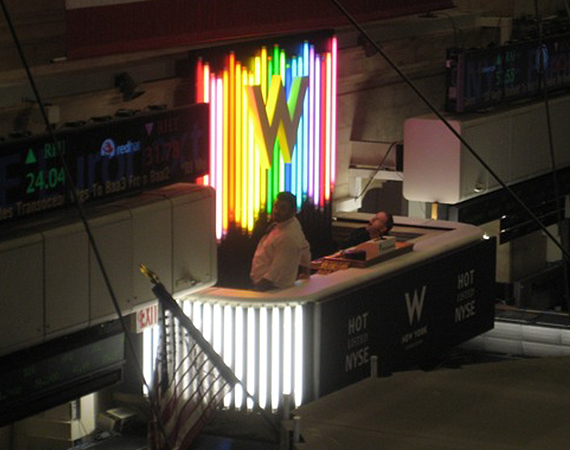 To top off the event, W's Whatever/ Whenever talent provided room service and a surprise on the trading floor with afternoon delights. 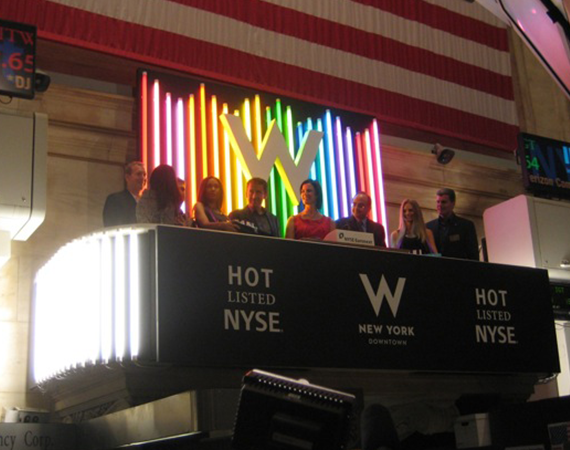 The podium featured a branded custom light back scultpture with full light and graphic shroud on the front.